Home Organizing, HYD Services, Life Organizing, Who is HYD? Why not just leave all that stuff in the attic? People often take action on spaces or rooms that guests or family see and utilize but what about the spaces that most people don't see; the ones that internally weigh you down? 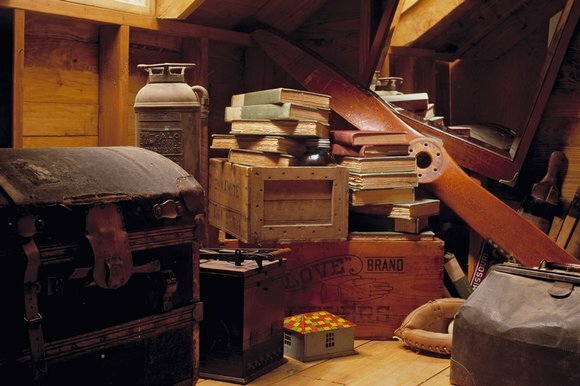 Most of us have a stash hidden in our closets, attics, or basements. Why not leave it there? The problem with accumulating things and then hiding them away is that one day they have to be dealt with by you or by the family you leave behind. Often times we carry around subconcious guilt or anxiety about those spaces. We form attachments to our stuff or maybe attachments to the idea of having access to stuff. There is a process that one must go through to mentally prepare to let go of things. Part of the decluttering process begins with a good look at how you think about your things. For many of us, holding on to things is a way to feel safe about a future need that may or may not ever occur. We encourage you to think about what it would be like to only keep items that truly give you joy? Sometimes it's simply a matter of stopping to think about the purpose you originally had behind a purchase. You may find that it's served it's purpose and can be passed along. We've found that decluttering doesn't come naturally to many people. Organizing and decluttering your home can be really overwhelming, even scary at times. On top of those things, letting go is HARD! It usually takes an outsider to help you not get stuck in your head when trying to make decisions on what to keep. It's only natural to begin thinking of all the reasons to not get rid of things when the real question (and way less time consuming question) is whether keeping it will bring you joy. Being ready to declutter doesn't happen over night, it's a personal journey that doesn't work if you've reluctantly agreed after being coerced by a friend of family member. The decluttering and ultimately the organizing process only works when you truly want to be free of your stuff. Our goal is never to convince anyone to do anything they don't want to do but rather for you to be so convinced that you need freedom from your things that you make the move to call us. We want you to be the hero of your clutter problem and we are here, ready to guide you along the way.